Massachusetts players celebrate their 4-3 overtime victory over Denver in the semifinals of the NCAA Frozen Four Thursday in Buffalo. 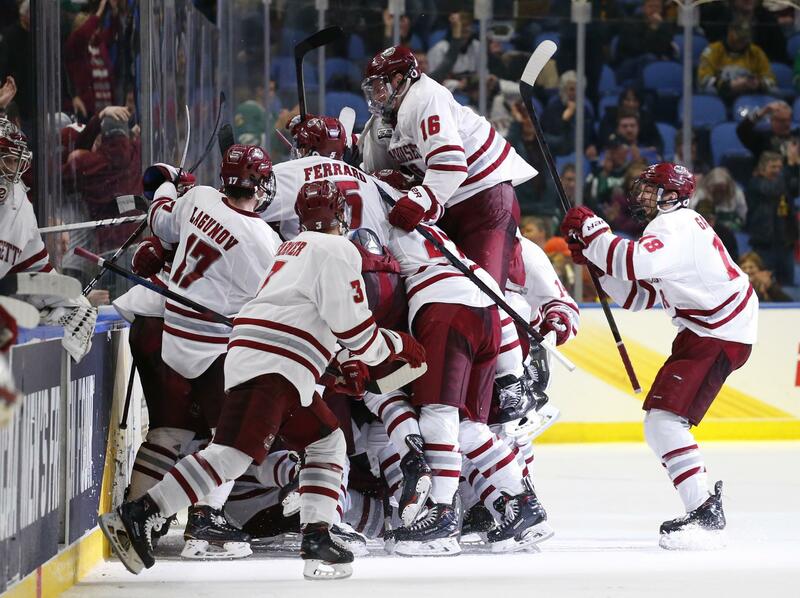 The Minutemen will face Minnesota Duluth in Saturday night’s championship game. 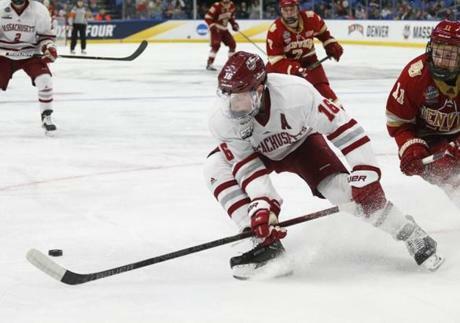 Massachusetts defenseman Cale Makar controlled the puck during the second period. 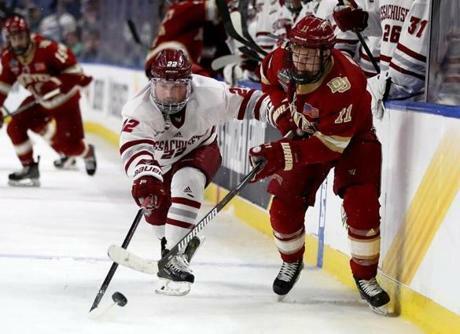 Brett Boeing and Tyler Ward fought for the puck during the semifinals of the NCAA Men's Frozen Four. 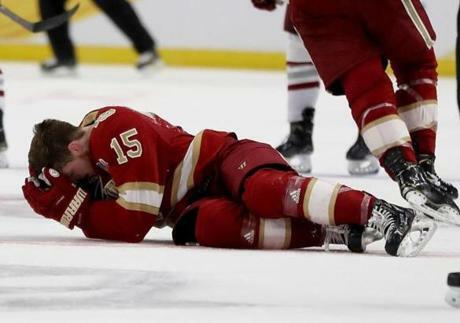 Ian Mitchell reacted after he is hit by Mitchell Chaffee of the Massachusetts Minutemen. John Leonard celebrated his goal with teammate Mario Ferraro.